An award-winning scholarship student of Hugo Weisgall and Roger Sessions at Juilliard, Saylor earned his PhD from the CUNY Graduate Center where he studied with George Perle and Felix Salzer. He took his Fulbright at the Accademia di Santa Cecilia in Rome studying with Goffredo Petrassi. His catalogue of commissioned works includes five operas, including "Orpheus Descending" after Tennessee Williams, and "The Image Maker" after James Merrill. His devotion to text setting has yielded a dozen large-scale works for soloists, chorus, and orchestra, ten vocal/chamber works, and dozens of published sacred choral pieces. He has composed two symphonies, concertos for piano, for violin, a double concerto for clarinet and bass clarinet, and pieces for strings, as well as works for solo piano, organ and chamber combinations. He has provided scores for theatrical productions and dance, and special music for important national occasions and religious events, among them President Clinton's Second Inaugural, the Rededication of Grand Central Terminal, and the Papal visits of John Paul II and Benedict XVI. His collaborations with American soprano Jessye Norman include the original music and arrangements for two best-selling holiday CDs, and her evening-length "Sacred Ellington" which has toured the world. 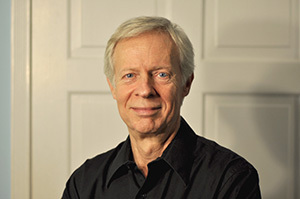 Saylor has written for The Musical Quarterly, NOTES, Musical America, the Institute for Studies in American Music, and The New Grove Dictionary. Saylor's more than 40 honors are from the Guggenheim, Fulbright, Mellon, and Jerome Foundations; he has received the Ives Scholarship and the Music Award from the American Academy of Arts and Letters, the National Composition Prize from the National Society of Arts and Letters, many prizes from Juilliard, fellowship-grants from the National Endowment for the Arts and the New York State Council on the Arts, and a major award for composition from the Ingram Merrill Foundation.